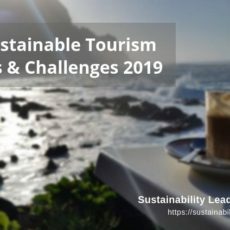 Destination sustainability management – how to do it – is a hot topic in tourism, not least due to the negative press coverage surrounding overtourism. 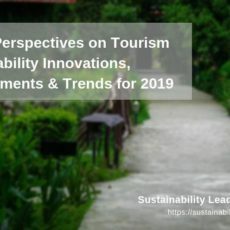 Sustainability strategies are the only way out of an overcrowding dilemma which is putting the perceived benefits and legitimacy of tourism as economic activity into question. 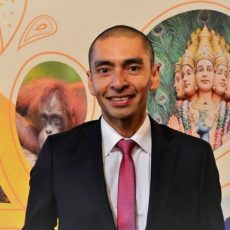 Is it best to develop a destination management strategy for individual cities or attractions, or is it better to include those in a destination and sustainability strategy which covers the entire region, including surrounding places and attractions? Destination sustainability strategy: attraction-specific or region-wide? It’s equally important to consider the context of the region and communities linked to heritage sites and to actively engage key stakeholders in the planning process — from government and community leaders to the private and civil sector — to ensure that the conservation and socio-economic outcomes associated with the site are realized and the benefits are shared. Afer all, whatever the attractions or sites and their size, they are always included in a destination at a larger scale. Tourists coming to visit an attraction will almost always have to sleep, travel through, eat or wander through the larger destination before reaching the site. Richard Butler gives the example of the Taj Mahal in India: even if it is a major focus of the whole trip, tourists will have to go there, sleep in some city nearby. Also referring to Siem Reap, Tricia Barnett highlights how too much focus on a single destination brought child exploitation and forced people to move away from their homes. She also explains how Western tourists in particular get more and more interested in remote, less-known areas, and how region-wide strategies can increase length of stays and overall attractiveness of a destination. On the other hand, it is important to take care about the local population and stakeholders, who live and work next to important tourist sites. Florie Thielin highlights that it’s important to have sustainable development plans at all levels: from private companies to cities, regions and countries. Gavin Bate concedes that visions which are too large are hard to manage, because “there are hundreds of stakeholders involved, and often the rights and voices of the ‘little’ people are completely submerged amidst the political and economic imperatives”. This can lead to resentment against tourism. Moreover, trying to build a strategy at the national scale may be hard to implement. Anna Alaman stresses the importance of sufficient resources and partnerships, and thus recommends focusing on destinations that are not too large. Raj Gyawali and Natalia Naranjo, among others, stress the importance of having a strategy covering an entire region, in order to give a common vision to smaller stakeholders who can adhere to a larger plan. Individual strategies can then be implemented at site-level in order to adapt the overall strategy to the interests and situations of individual destination actors (e.g. visitor control, environmental monitoring). In this scenario, smaller players depend on the leadership and scope of public institutions. It is often easier to start at a smaller scale. As Kevin Teng puts it, interests are easier to align at the scale of a city. Step by step, coordination and cooperation allows reaching larger scales. His advice is to hire a third-party consultancy to accompany building the strategy. Jonathon Day also recommends this strategy in order to adapt to each “subsystem” and level of commitment and situations: “Go for small wins as you build momentum to larger more comprehensive planning.” His vision is that destination managers should rather accompany actors toward sustainability, rather than “commanding and controlling” them. This goes in line with what Richard Butler says: “Ideally, planning should work from the bottom-up, individual sites linking with others up the scale and with transport and other services to destinations, then to regions and finally to the country as a whole.” However, he finds it regrettable that nowadays, in many destinations, stakeholders first think about getting their “share of the tourism pie” before getting together and working toward sustainability. Who has legal, political or managerial responsibility and ability in what area? What do your customers view as the destination, in terms of geographical area? All in all, most of our panel members agree that the important is to get everybody involved (private and public actors) at all levels, from the smallest scale to the largest. Anna Alaman gives the example of the state of Kerala in India, where the strategy “Better Together” involved stakeholders at all levels (academics, tourism companies, entrepreneurs, communities…). Peter Richards explains how Luang Prabang managed to improve tourists’ experience but also create economic opportunities for local communities by working on the city centre’s pathways and street lighting. More generally, Jonathan Tourtellot defines three sectors that need to be at the table when building a sustainability strategy: government, sustainably inclined business and “stewardship-related civil-society organisations and independent agencies.” He gives the example of the US state of Wyoming and the Jackson Hole & Yellowstone Sustainable Destination Program. The GSTC Criteria are a good guidelines for working towards destination sustainability, suggests Steve Noakes, who also quotes the central Philippines and Australia as examples of destinations with interesting guides and plans linked to tourism sustainability. Start where you have most influence. Start building a coalition of folks who share your vision. Success breeds success and enthusiasm is more likely to generate commitment than directives […] Focus where you can be successful and build out from there. More about the panel here. 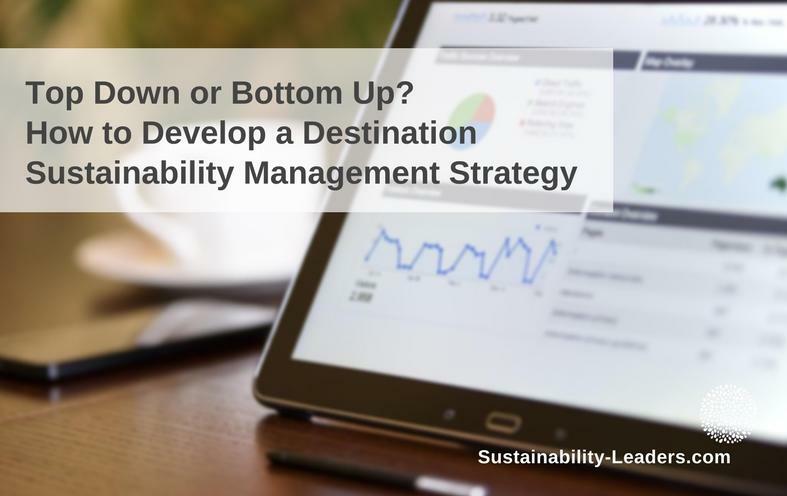 Enjoyed this snapshot of expert views on how to set up a destination sustainability management strategy? Spread the word!